I think I actually posted this Robert Rodriguez blazer awhile back when it was full price, but now I find it at Last Call NM on super sale and must post again! 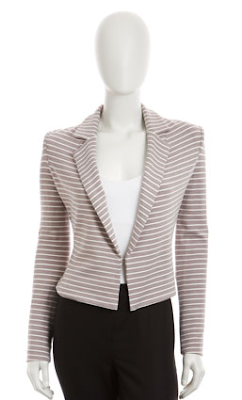 A striped blazer is perfection for summer and this one is now half off and has a good range of sizes left! Buy for $159 before it's gone forever!